A very Merry Christmas to each and every one of you... we've finally made it to the big day. But now all the waiting is over, what should we do? The modern world moves at an incredibly fast pace - once the counter gets to zero... we move on to the next big thing. Take a look around you: Britain's Got Talent, Dancing on Ice, I'm a Celebrity, Strictly Come Dancing, I'm a Celebrity, X Factor... society builds itself up for the hype, gets over excited at the climax... and then forgets all about it and moves on to the next thing in the calendar. I was watching The Truman Show again just the other day (brilliant film), and was reminded just how much the closing scene of that film perfectly captures the behaviour I'm describing. If you recall, the global viewing audience are overcome with euphoria and cheer ecstatically as Truman (Jim Carrey), asserts his humanity over the false reality that has been built around him, steps through the doorway at the edge of the set... and finally enters the real world. Yet having been witness to this incredibly real and utterly human event... does it touch them in some way? No. Within seconds of the programme ending, they look in the TV schedules and switch channels to watch something else. It is exactly the same with how we celebrate the seasons. No sooner is Christmas over, then the card shops will be promoting St. Valentine's Day, then Mothering Sunday, Easter, Father's Day... before completing the circle and returning to Christmas. I'll also wager that within a matter of weeks... maybe even days, the shelves will be crammed with Easter eggs. On Twitter I even saw tweets suggesting this was already occurring before Christmas! I wonder if it was like that in ancient times? I wonder if it was at all like that for the first Christmas? When the startled shepherds raced down from the hills after their angelic encounter... and stumbled, panting and exhausted in through the stable entrance, to witness the newborn infant Jesus; how long did they stay? Did they just poke their heads round the door and say "Wow!!! That's awesome!!!" and then stroll back up the hill and go about their own business? Or what of the Magi... who encountered Jesus later in his infancy? Having travelled the breadth of the Middle East, did they just part with their precious gifts and head off back home? In both cases - the shepherds by virtue of special revelation; the Magi by virtue of their studies, each party understood that the event they were being called to witness was a deeply significant one. 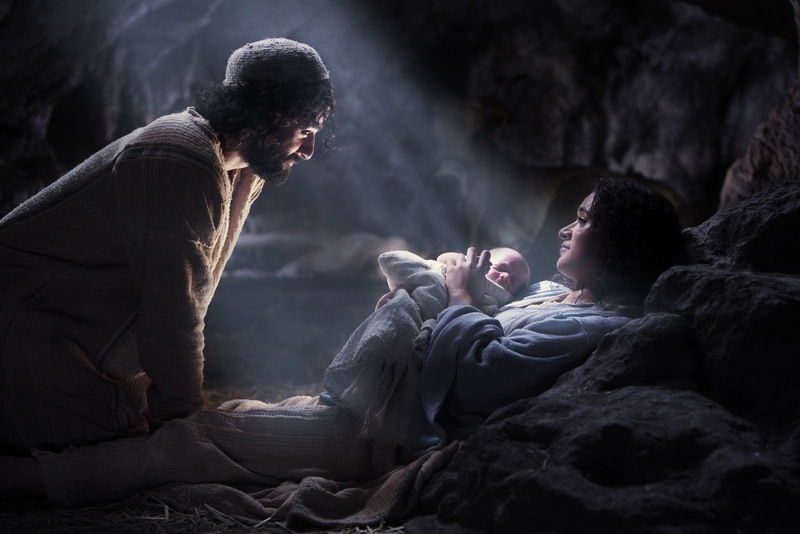 Every child born on Earth changes and shapes the future of this world... but the birth of Jesus heralded the arrival of the One who would alter the very destiny of humankind, both collectively and individually. I somehow giving the circumstances of their visit, the shepherds and Magi may have remained in Christ's presence for more than a few minutes. I suspect that they remained for an hour or two at least. The Magi may have stayed somewhere in Bethlehem overnight, as they were warned in a dream to return home via another route. But my question to you all this Christmas is simply... how long will you stay? Will you simply tip your hat in Jesus direction, making the slightest acknowledgement of the reason behind the modern celebration? Or will you make an annual pilgrimage to a family church as an act of tradition... and then move on? Or perhaps you will shun the nativity in it's entirety... seeing it as no more than mere myth and an affront to your deeply held conviction in the power of reason? Or maybe, just maybe like the shepherds and Magi... you may find yourselves pondering who this child actually was or is. Find some time to sit down amid the festivities... today, tonight, tomorrow or some other time this week when perhaps it is a little more quiet for you... and contemplate for yourself who Jesus is. Look on the child and think on he was, who he will become and what that means for you. Do not belittle the question with your own presumption or previously held convictions (Christian or not). Take a little time to sit down and think. Use pictures, use music, use words... whatever helps you to focus.... just find that space to think and.... stay. In those days Caesar Augustus issued decree that a census should be taken of the entire Roman world. (This was the first census that took place while Quirinius was governor of Syria.) And everyone went to their own town to register. So Joseph also went up from the town of Nazareth in Galilee to Judea, to Bethlehem the town of David, because he belonged to the house and line of David. He went there to register with Mary, who was pledged to be married to him and was expecting a child. 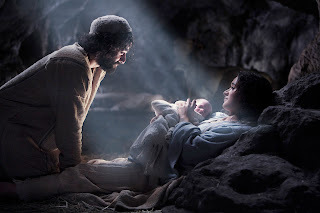 While they were there, the time came for the baby to be born and she gave birth to her firstborn, a son. She wrapped him in cloths and placed him in a manger, because there was no guest room available for them.